Following four months of negotiations within the Podravka Group between employer and union negotiation teams, measures have been adopted that will further improve the material status and rights of Podravka Group employees. Those employees with the lowest salaries will receive a net increase of about 1000 kuna, with the increase in the lowest coefficient from 1.20 to 1.67. Among the agreed measures is the increase of the fixed bonus for workers from 400 to 470 kuna net, and payment of the costs of local transport in the amount of 170 kuna net. Additionally, each year, the employer will pay out a savings of 1000 kuna into the 3rd pension plan pillar for each employee, proportionate to the number of months the employee is in labour relations for that year. Furthermore, the amount of the jubilee award is increased, as is financial assistance in the case of death of an immediate family member from 2500 to 3000 kuna net. A 50% increase was also agreed for the one-time salary bonus for Easter, from the current 400 to 600 kuna net. 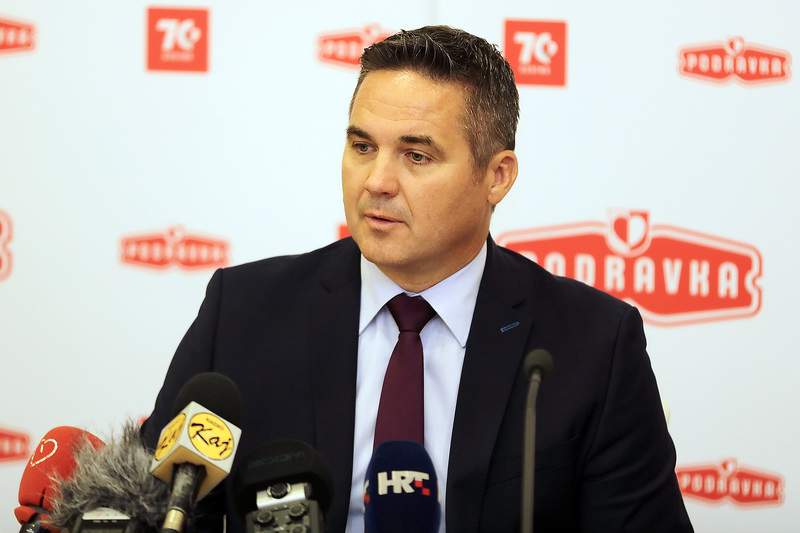 At the presentation of the agreed amendments to the Collective Agreement, the Chairman of the Podravka Board Marin Pucar stated, “Without satisfied employees there can be no company success. This is even more true for Podravka, as the loyalty and connections between Podravka employees, regardless of the work post and unit they are stationed in, has always been much stronger than in other companies, not only in Croatia but around the world. And that is something we wish to continue to build KORPORATIVNE KOMUNIKACIJE our future on, as one of the key values of Podravka. Today, the employee is in the focus of all political and economic scenes, and we see that employee mobility in the EU is increasing. That is why we began negotiations with the unions four months ago, and we have reached a solution for 2019, in the desire to improve the material status of employees of the Podravka Group. The agreed amendments are just the start of this path that will continue in the future period, all with the aim of increasing our corporate social responsibility and market orientation, and improving the company climate”. On behalf of the union negotiating team, team leader Ksenija Horvat commented, “We have reason to be satisfied: we have succeeded in taking great steps forward. 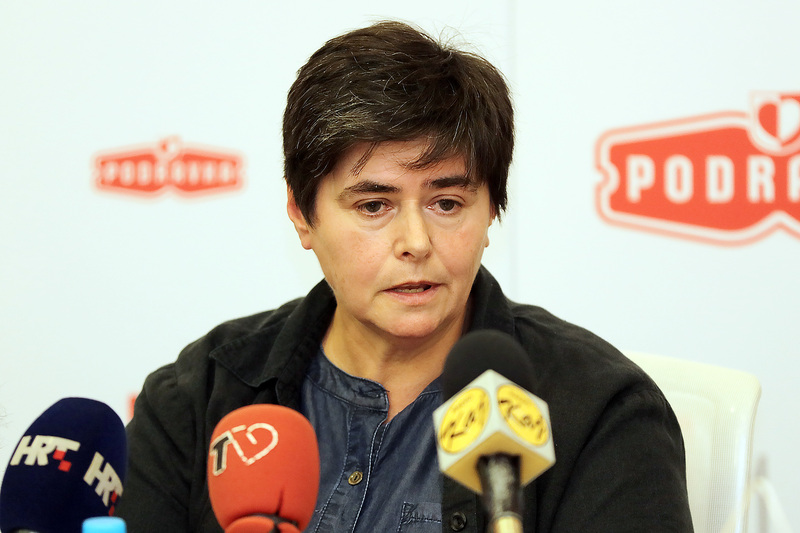 From the start, the Management board showed that they wanted to create a more positive environment for the Podravka employees, and the agreed increases mean an average net salary increase of 330 kuna, though for the lowest salaries, this increase is highest at about 1000 kuna net, and this will already come into effect as of 1 October of this year. There has never before been such a one-time large increase in salaries for workers as will be in this agreed package of measures to amend the Collective Agreement, and this is something we can be very pleased with. We believe that with this improved position and rights for our workers, the Podravka Group will become an even more desirable employer”. 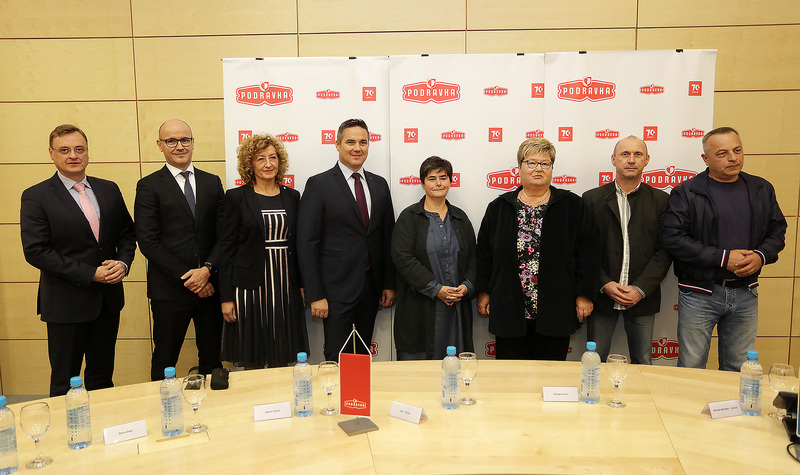 The Podravka Management board and all three unions operating in the Podravka Group (PPDIV, SINPOD, Podravka independent union) govern the mutual relations through dialogue and negotiations on amendments to the Podravka Group Collective Agreement. This is exceptionally important for the position of employees, and for the stability and success of operations, as the employees are the most important pillar upon which all else rests. The Collective agreement further strengthens the rights guaranteed under the Labour Act, and in the spirit of positive policies, the Podravka Group has further improved employee rights, as a condition for more successful and better quality operations, and for even more homogenous relations within the Podravka Group.